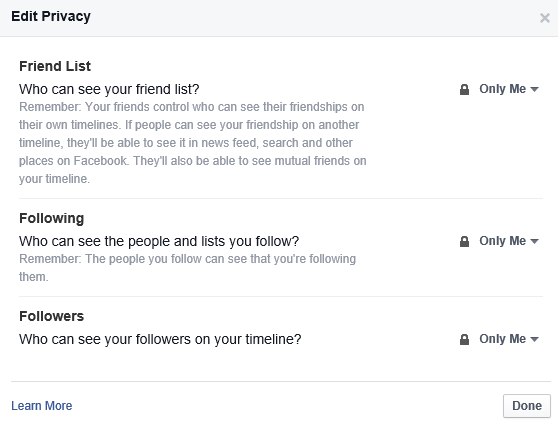 This blog post will explain how to hide the friends list from showing up to friends in Facebook. 1. Login to Facebook with your login credentials. 2. Navigate to the Cove photo and click “Friends” below it. 3. Click the “Edit” button next to the “Find Friends” button and select Edit privacy. 4. In the Edit Privacy screen , select “Only Me” for who can see your friends list and click “Done” .